What a fantastic day! Lila, Emily, Annabelle and Ewan took part in a Wind Day at Lancing College this week. 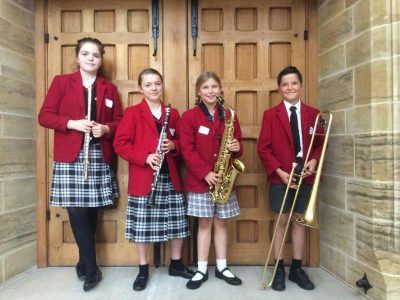 They played in a wind band of 75 pupils from other local Prep schools. Great sight reading skills were needed in the morning but by the end of the day, they performed brilliantly. Well done!